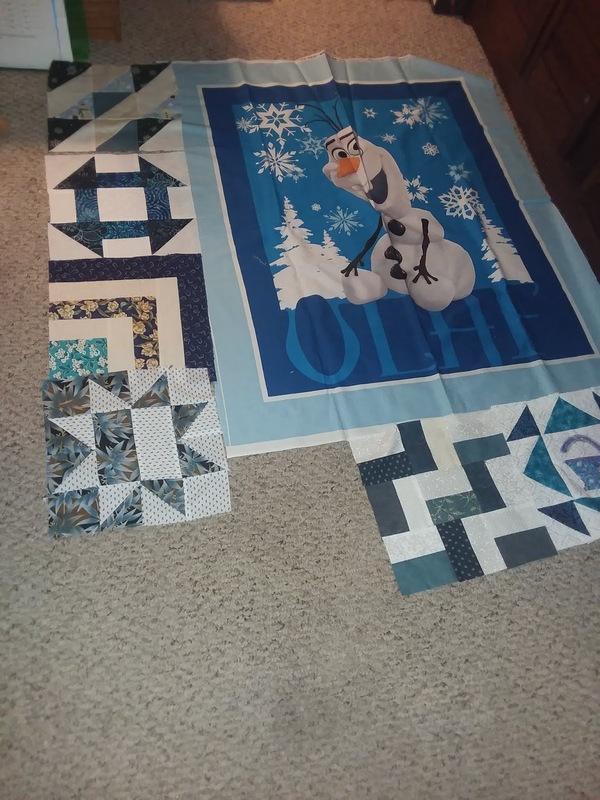 I think i had 6 blocks made so a border on one side may work? Do you ever combine ufo projects? Hmmm. Now if I were a block, where would I be hiding? 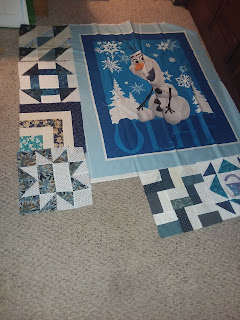 The pieced blocks look great with the Olaf panel. It's a great way of using up orphan blocks. It already looks good and it's not even done!! This project is coming together nicely. I've never combined UFOs but gosh, I don't know why I haven't considered it before. Another great idea, Dawn!